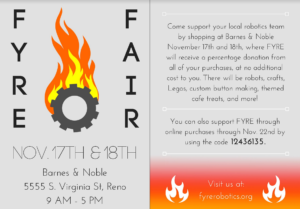 FYRE is having a book fair at the local Barnes & Noble on November 17th and 18th. Any time on those days, if you let the cashier know you want to support us, a portion of all the proceeds from your purchases will go to us at no additional cost to you. You can also support us when buying online from the 17th through the 22nd by using the code 12436135. 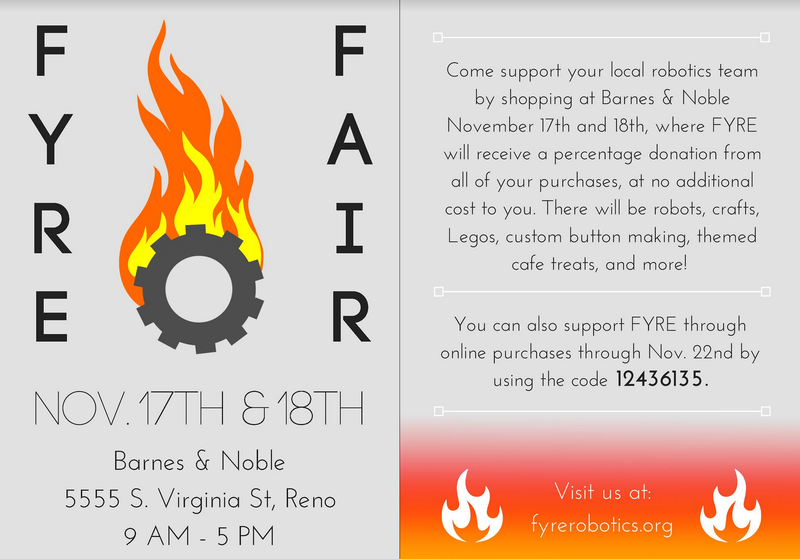 We will be set up inside the Barnes & Noble store on the dates of the in-house book fair, and we will have robot demonstrations, Legos, and crafts. If you’re planning on buying anything soon, please stop by this weekend to support us.